If you have a little girl, and are anything like me, you have a TON of random bows, flowers, clips, headbands and all those adorable girly things. I rarely take sweet pea anywhere without a bow or flower because I want people to know she's a girl! For a while, I had bows, headbands, and clips in a random jumbled mess all over the dresser. Not good when it comes to finding one I'm looking for! So I decided it was time to break my craft supplies! Not only is oatmeal good for removing cholesterol (and as I just found out, for boosting breastmilk supply), it is also pretty useful as a headband holder! So take this as a little extra motivation to eat the rest of your oats....or just dump them in a Ziploc bag like I did! Once you have the can empty, simply use the hot glue gun to glue your paper of choice around the oatmeal can. You will need 2 sheets of regular sized scrapbook paper. 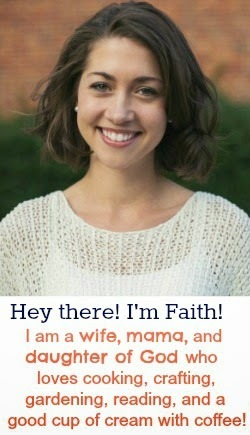 You could also use fabric if you prefer. Once the glue has dried, simply coat a few layers of modge podge on to seal the paper and get a nice smooth finish. Be creative with the base. Mine is an old candlestick that I just spray painted to match the paper. You could just leave it without a base as well. 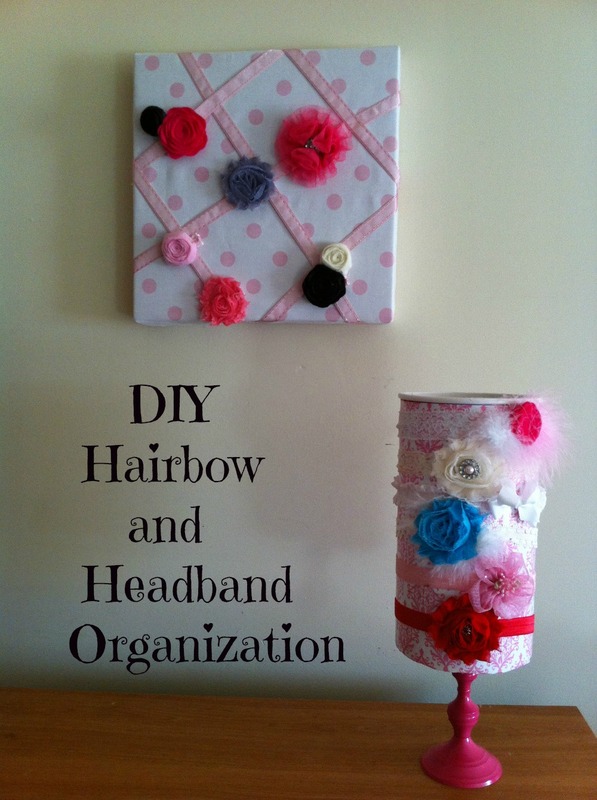 Now, I'm sure all of your darling headbands won't fit on your completed project, so just place them inside the oatmeal can and out of sight until you need them! If you are looking for a cute place to store your clips, use one of those photo boards or make your own like I did. All you need is a canvas, fabric, and ribbon and voila you can just clip your bows where you would typically place photos! I love it with the clip board and it's super easy ! Totally going to try this - I have just one little girl now but another (maybe two) on the way so we are going to be over run with bows and headbands soon! Those are ADORABLE! Pinning right now! Such a cute idea!!! You have helped me figure out what I am going to do with the million headbands we have! Super cute. 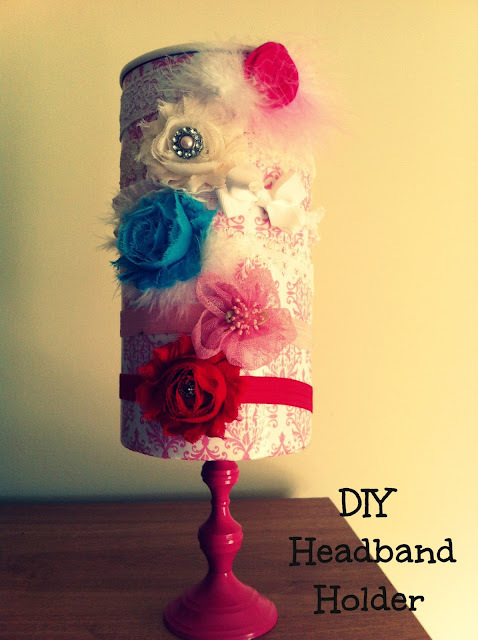 I just made one but it won't hold the headbands. Guess this only works for cloth one's that wrap all the way around? Going to see if I can try to make mine wider so it will hold regular headbands.